The Best Western H?tel Central has quiet, comfortable rooms which are equipped with satellite television,LCD screens,Internet WIFI connection, AM/FM alarm clock and mini-bar, and 2 suites with Jacuzzi. The hotel features a seafood restaurant and meeting facilities and offers our guest complimentary newspaper. 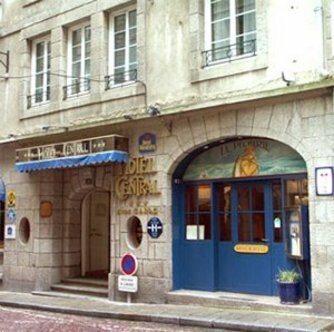 The famous Saint-Malo ramparts and sailing marina are only 50 meters from the best hotel in town.